The 2nd Annual Car Chix Battle of the Sexes will return to Great Lakes Dragaway on June 22nd. Featuring an epic men vs. women showdown at its conclusion, the Ladies Only Bracket Race will be run in two ET based categories, with a run-off for overall Ladies winner. A Mens’ Only Bracket Class has the guys competing against each other to determine its winner. The winner of each category then go on to the finals to determine the ultimate Winner of Battle of the Sexes. 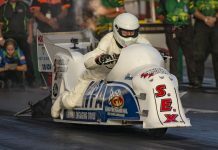 New for 2019, Car Chix has announced a Junior Dragster Category, with girls and boys competing in the same format as the adult categories to determine the Junior Battle of the Sexes Winner. 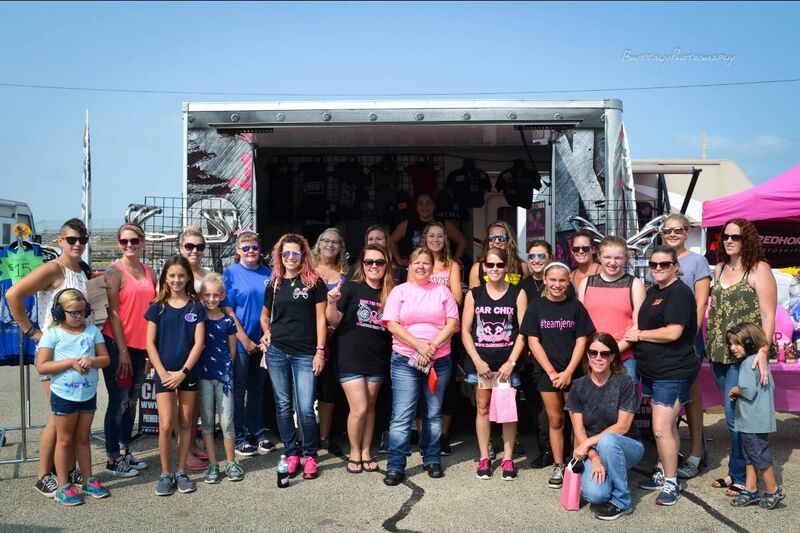 The 6th Annual Car Chix Ladies Only Drag Race and Breast Cancer Fundraiser will return to Byron Dragway in Byron, Illinois on August 17th. Ladies will compete in a bracket race program to raise money for the “All About Me Program” at Rochelle Hospital in Rochelle, IL. In addition to cash prizes and trophies, Car Chix distributes several recognition awards; including: Best Burn Out, Fastest MPH, Best Reaction Time, Hottest Ride and Best Dressed Back Up Boy. 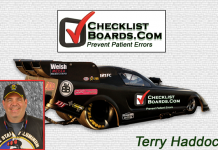 Spectators and participants also have the opportunity to bid on silent auction items provided by drag racing’s stars, manufacturers and sponsors, with proceeds going to Rochelle Hospital’s breast cancer awareness and treatment programs. Car Chix will close out the season with the return of Car Chix Outlaw on October 12th at Cordova International Raceway in Cordova, Illinois. Run in conjunction with the River Redemption Series radial tire season finale, this heads up 1/8 mile “run what ya brung” race was a crowd favorite in 2018, and promises more of the same in 2019. New for 2019, Car Chix has added a 7.50 Index Class. For more information on the Car Chix Ladies Only Drag Races, powered by: Other World Computing, OWC Pro IT Services, Crank It Media, Chicago Intermodal Trucking, Speedwire Systems and Redline Motorsports, please visit: www.carchix.com.